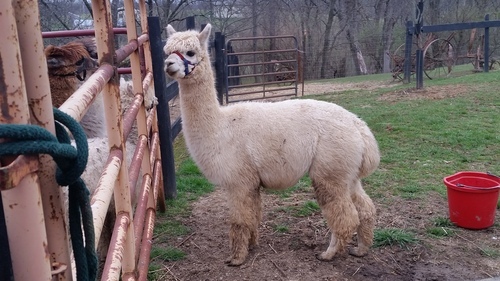 Sunburst Valley Alpacas is an alpaca farm located in Cincinnati, Ohio owned by Shelli Homan. 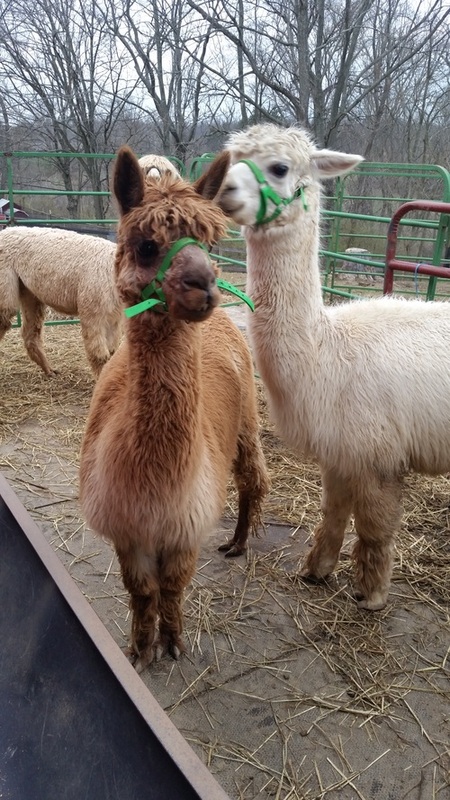 Welcome to Sunburst Valley Alpacas! We are currently building our foundation herd one cria at a time through careful breeding selection. We want to keep our herd small so we can be more selective in our breeding process and allow us more time to develop quality instead of quantity. With this in mind, our goal is to produce a high quality fiber that can be used on many different levels. Such as hand-spinning, felting, crocheting, or knitting. Some of the fiber will be sent off to local mills for processing into American made alpaca products. If you have fiber, but not the time to clean it, let us know. We can help you get it from the bag to the mill or show ring. Contact us. We'll be glad to help you. Our farm, Sunburst Valley Alpacas, is happily tucked away on the Westside of Cincinnati, Ohio on rolling hills of green pastures. The alpacas enjoy grazing on the grassy slopes by day and resting in the barns at night sharing their home with a few llamas and a miniature donkey. By next spring, we hope to have one or two more joining our herd. We started out eleven years ago with just one little female (Fancy), and before too long, added a sweet, older girl who gifted us with our second female (Spice). From there, we picked the males carefully for our next generation. This second generation had given us two more females (Lola and Rosie), and our only male (Razzle). By this time next year, we hope to have the next generation on the ground with Razzle as our sire. By keeping the herd small, we can take the time each year to go through the spring fiber harvest and analyze each fleece. We use Yocom-McColl as our testing facility for the fleeces. By utilizing this fiber analysis system, we can make decisions as to how we want our breeding program to move forward. As an added bonus, a small herd also helps to keep our fleeces from being tossed on the "fiber pile". 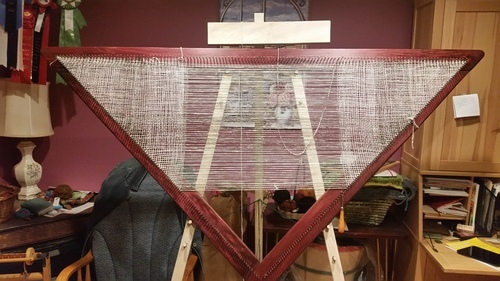 We are able to process most of each year's fiber harvest into something every fiber artist would enjoy. 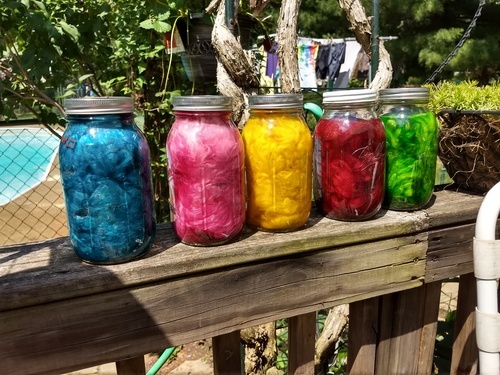 Whether it is a cleaned fleece for the hand-spinner, dyed fiber for the felting enthusiast, a skein of yarn for the knitter, weaver, or crocheter, or even a hand knit hat or scarf, we have something for everyone. We even have fiber that doesn't make the grade for processing into yarn, but makes wonderful nesting material for the birds.